Yesterday, the new KMPG workplace at Barangaroo was featured in the Commercial Real Estate section of the Sydney Morning Herald. 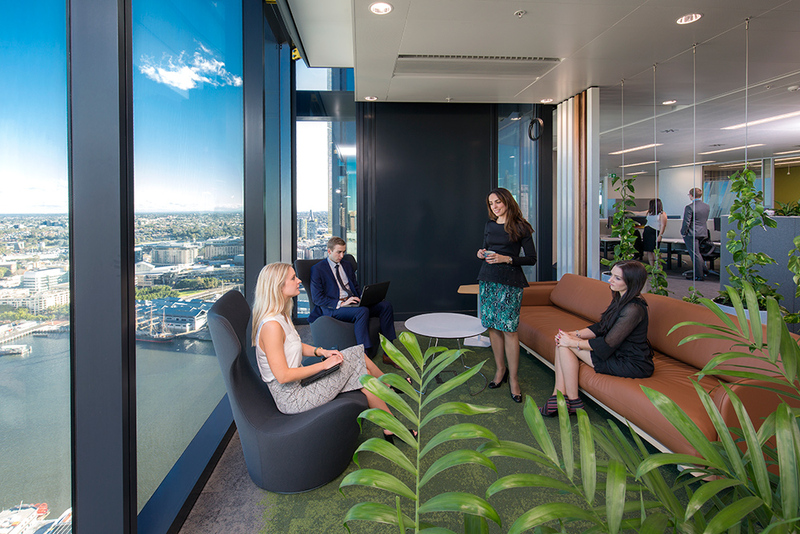 The article will provide you with an insight into the innovative design and sustainability principles that define KPMG’s workplace of the future. Davenport Campbell were asked to help transform the way KPMG works by giving life to their primary work place goal of ‘”inspiring confidence and empowering change” whilst supporting innovation and well-being. Our first step was to design a pilot space where over 1000 employees tested new ways of work and next generation collaborative technology over three years. The pilot space was highly successful and was instrumental part of the business case for change. Lessons learnt from the pilot space were then applied to the KPMGs new HQ at Barangaroo. One of the greatest learnings was the importance of creating spaces that would encourage staff to think and work differently. “…everyone has access to all levels of the organisation which has really improved employee engagement.” Martin Blake, KPMG NSW chairman.